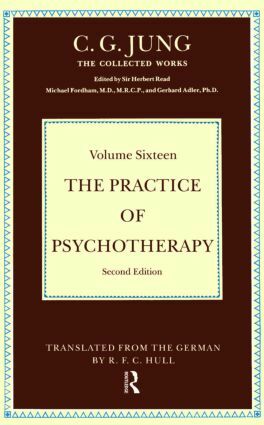 The Practice of Psychotherapy brings together Jung's essays on general questions of analytic therapy and dream analysis. It also contains his profoundly interesting parallel between the transference phenomena and alchemical processes. The transference is illustrated and interpreted by means of a set of symbolic pictures, and the bond between psychotherapist and patient is shown to be a function of the kinship libido. Far from being pathological in its effects, kinship libido has an essential role to play in the work of individuation and in establishing an organic society based on the psychic connection of its members with one another and with their own roots.